I typed KAV 640 into google and i was brought here, my dad (Brian) had the van when i was just a kid and i was surprised to see an old picture on here. I miss the old vw shows and unfortunately i miss my dad also, he passed away in 1999 but I've been left with the vw affection. 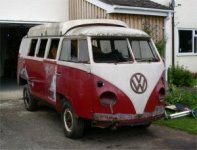 My brother spoke to the current owner a while back and it was great to hear the old van is still out there and more importantly it's getting used. The story as I remember it was he was contacted by the widow of the origal owner who was trying to purchase a new rear screen after a brick got thrown thru it thru the garage window. 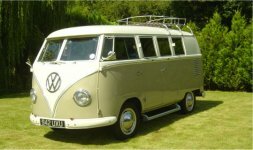 He bought the camper off her, and it was PROPER mint it even had a little old 60's camping trailer to go with it!! Anyone know the camper I mean????? I'll try find a pic?? Hope other people remember these vans too.?? ?